Arenaa Diner is one of my favourite place to visit during the office lunch/dinner hour. 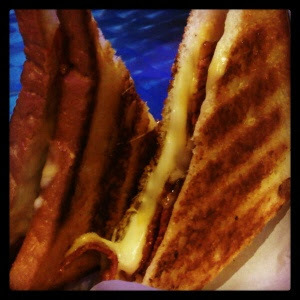 but a colleague of mine introduced me to their Grilled Cheese Sandwich, a must-try if you're looking for something simple, yet filling. The bacon is an add-on.